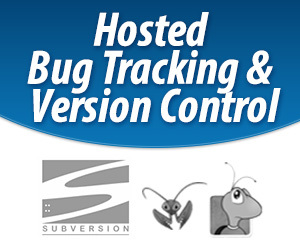 Have you ever wanted to integrate your Subversion repository with your MantisBT so that your Subversion commit messages update the bug(s) they relate to? This article will describe this feature and how to enable it on your devZing account. For instance, when I commit a bugfix to my repository’s “master” branch, if the commit message says “Fixes issue #17”, the tracker can automatically mark issue #17’s fixed in version “1.3.x”, the current development version. Once the repository and commit data has been imported into MantisBT, it can be browsed or searched, and each changeset is automatically link the committing user. 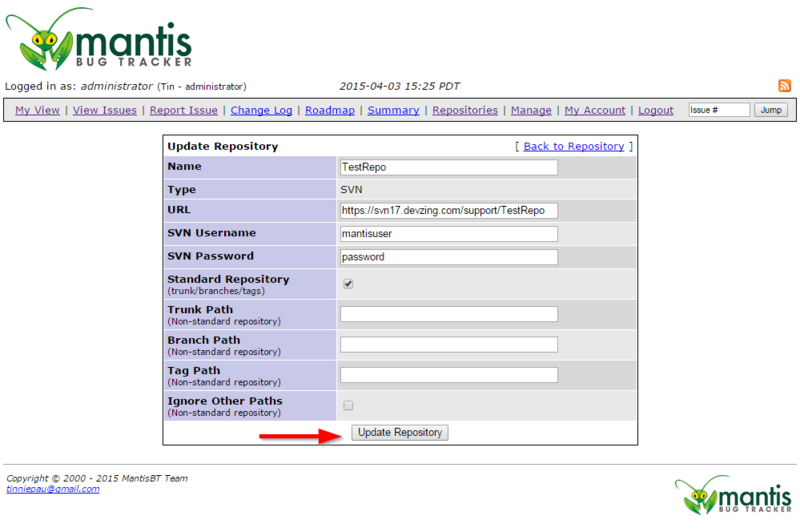 MantisBT needs a valid Subversion user for the repository you are about to configure. This user should have read permissions for the repository. You can manage your Subversion users by logging into your devZing account at https://devzing.com/login and clicking Subversion. 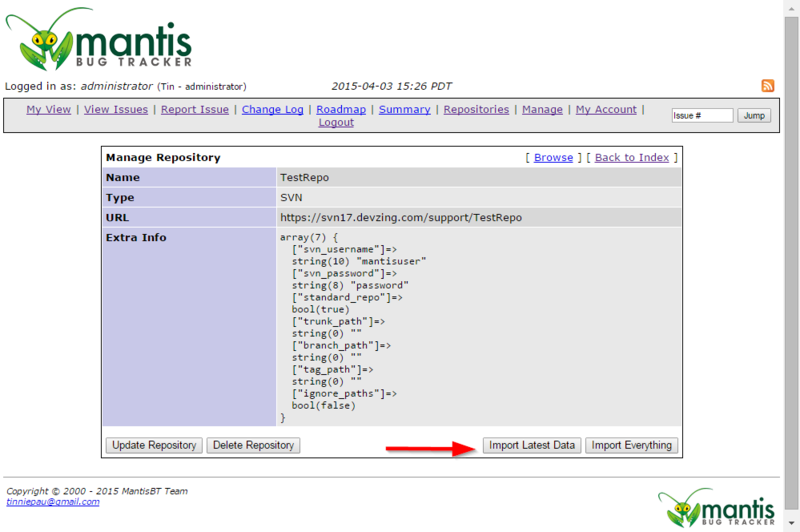 Log into your MantisBT with a user that has administrator access level. Navigate to Manage then Manage Plugins. You have now installed all the plugins required. On the Manage Plugins page click the Source Control Integration link to bring up the general configuration page. 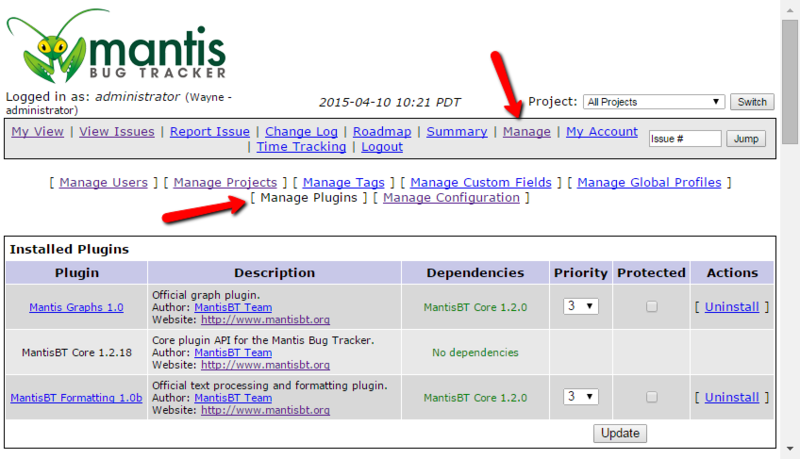 After the installation, You will have a new link in your MantisBT Menu, named “Repositories” click the link. 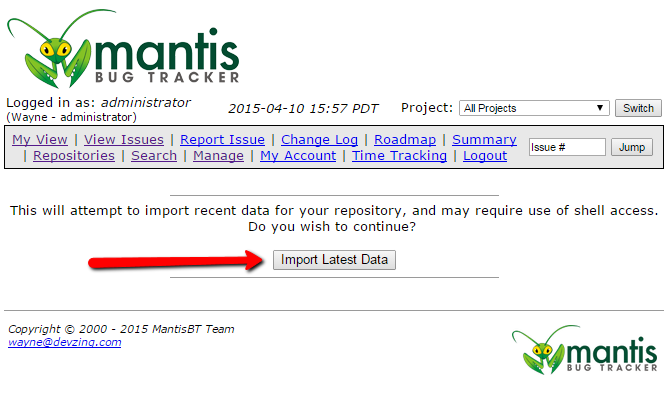 You need to tell MantisBT what repository you want to use for the integration. The last step is to bring in all the data from the Subversion repository. If the repository is new or doesn’t have many commits this process is quick. For a larger existing repository this could take many minutes and you may have to run this process more than once to get it all. You will see a message showing you the import results when complete. From now on devZing will automatically add new changesets to your MantisBT every time you commit to the configured Subversion repository. In addition to the changesets showing up in MantisBT you can add information to your commit message to automatically resolve the bugs related to the commit.